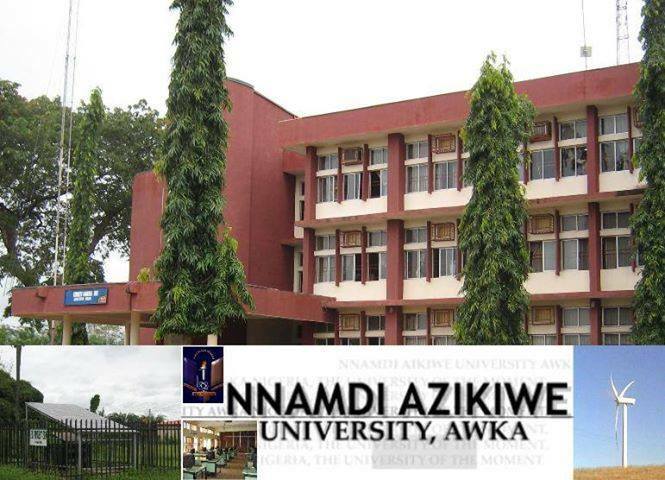 The management of Nnamdi Azikiwe University, Awka (UNIZIK) has released the FIRST and SECOND Batch Admission list for the 2018/2019 academic session and all the candidates who participated in the Admission Screening Exercise can now check their admission status. Note: As at the time of writing this report, the UNIZIK Admission list has FINALLY been uploaded on the college’s official portal. Also, candidates can check their admission status on JAMB CAPs. Candidates are expected to click either “ACCEPT” or “REJECT” to indicate acceptance or rejection of the admission offer. After checking your admission status on JAMB Central Admission Processing System (CAPS), you are expected to follow the steps below to confirm it on the school official website. Step 1: Go to UNIZIK Admission checking portal at: http://portal.unizik.edu.ng/login. Step 3: Click on the “Sign In” button to view your admission detail. For Admitted Candidates: Nnamdi Azikiwe University, UNIZIK Biometric Verification Exercise of admitted candidates has commenced. N.B Those who are successful should immediately go to Nnamdi Azikiwe University to start registration as the University has resumed for all final year and fresh students. less than 6weeks to exam n unizik oa yet to releasw her DE admissino list for2915/2016 academic sesion. Any one wit useful information pls? Less than 6weeks to exam n unizik is yet to release her DE admission list for 2015/2016 academic session. Any one wit useful information pls? What’s the meaning of null admission status, after telling me that I have been admitted?? ?